© 2019. 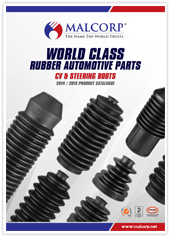 Malaysian Consortium of Rubber Products Sdn. Bhd. 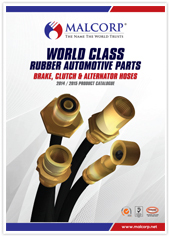 Value, quality and excellence are the key features to MALCORP being the leading rubber auto parts exporter in Malaysia. 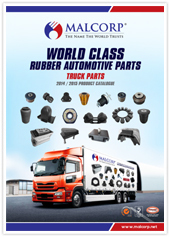 Acquiring the largest catalogue of rubber automotive replacement parts, MALCORP is a one-stop sourcing centre supplying only the finest rubber products. 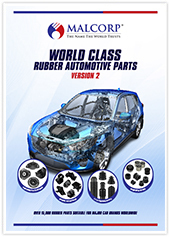 Its rubber automotive products include Engine Mountings, Constant Velocity and Steering Boots, Rubber Bushes, Grommets, Cuplings, Radiator Hoses, Stabilizer Links, Drive Shaft Boots, Center Bearings, Brake & Clutch Hoses and many more within a wide automotive selection and are suitable for most brands of vehicles worldwide. 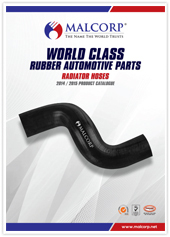 As a trusted brand name for rubber automotive parts, MALCORP has risen above in a competitive market through constant innovativeness and commitment. In addition, MALCORP’s utmost priority is ensuring complete customer’s satisfaction through prompt delivery of goods and efficient after sales services.